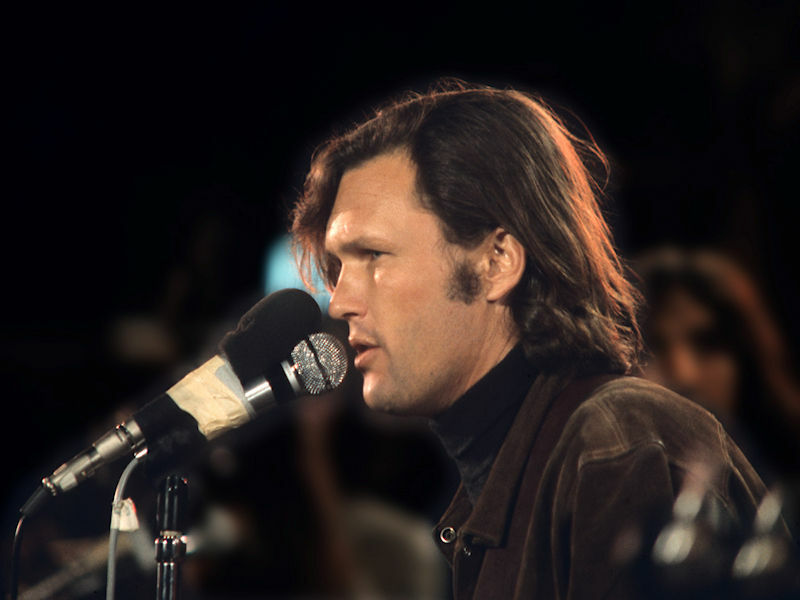 Kris Kristofferson – 47 years on. Friday 23 June 2017 saw Kris Kristofferson performing for the crowds at Glastonbury. He had celebrated his 81st Birthday the day before making him one of the oldest performers to have appeared on the famous Pyramid stage. If you can cast your minds back 47 years, then you will remember him at the 1970 Isle of Wight Music Festival performing in front of an estimated crowd of 600 000. He performed two sets in his Country style. This picture taken during his 1970 performance was taken by Charles Everest and is part of the CameronLife Photo Library.